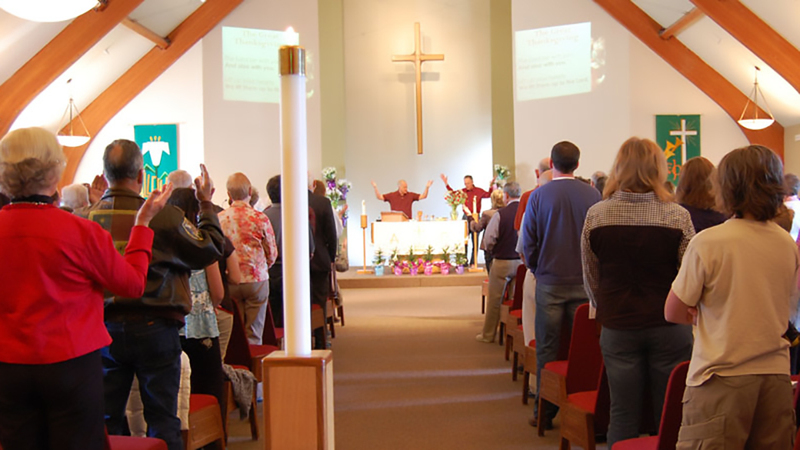 Nativity Lutheran Church in Bend is a community of people who are in lots of different places in their faith journey. While they are certainly a Christian church, they don’t expect their members or guests to have Christ figured out. They only ask that you are respectful of everyone’s beliefs and open to questioning and discovering. At Nativity, you belong before you believe. They gather for worship every week with two Sunday morning services that are similar in content but different in style. At 9:00 a.m., they hold their informal service, led musically by a praise band. The songs are similar in style to what you may hear on the radio. The service is informal – “come as you are.” Holy Communion is shared every week. At 11:00 a.m., they hold their ‘formal’ service, celebrating the Eucharist in a more traditional manner. The leaders wear robes and the musical style makes use of well-known hymns as well as music from around the world. Childcare is offered at both Sunday services and they love to have children in worship as well. Finally, you are invited to join them between services for coffee, refreshments and fellowship.